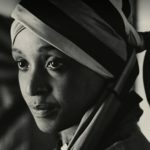 Winnie Madikizela Mandela is a South African activist and politician who has held several government positions and headed the African National Congress Women’s League. She is a member of the ANC’s National Executive Committee. She was married to Nelson Mandela for 38 years, including 27 years during which he was imprisoned. Of all the major figures who came to global prominence during the South African liberation struggle, Madikizela-Mandela was seen as the most at home in the world of celebrity culture, and for many of the years just before Nelson Mandela’s release from 27 years in prison, she was his public face, bringing word of his thoughts and his state of mind. She was offered academic honours abroad. The blanket shop in Soweto provides local jobs and promotes a positive movement for South African Youth. A blanket provides much warmth and protection just as Winnie did for her people and will continue to do for all of us. A percentage of the blanket sales is donated to our CSI Progam to help grow young youths skills. Delivery is done via courier at additional costs. Collection may be made at the Soweto based store. Secure shopping and convenient delivery to your door. All payments are secured through payfast. 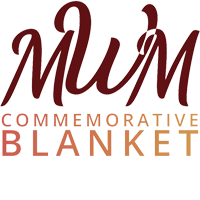 Explore the blanket manufacture process from yarn to final product. Columbus Madikizela christened his daughter Nomzamo Zaniewe Winifred. Columbus admired the Germans for their discipline and industrial achievements, and demonstrated his reverence for both the industrious Aryans and the missionaries who led him to Christianity by calling his daughter Winifred, the ancient Germanic name meaning ‘friend of peace’. Though rarely used, her first name, Nomzamo, would prove prophetic – it means ‘she who will endure trials’. When she went to school, she became known as Winnie.